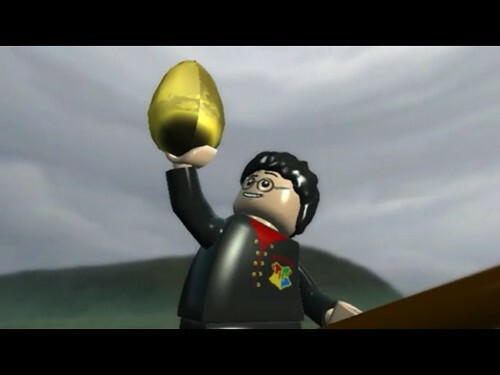 Lego Harry Potter… Could anything be sweeter to a boy that happens to like both Harry Potter and Lego? After reading the books and watching the movies, G1 was eager to feed his Harry Potter addiction with more, so I consented to getting the Lego Harry Potter app. It’s an RPG (role-playing game) – the kind I used to be addicted to when I was growing up, but I have been careful to stay away lest I, too, got sucked into game. It was working pretty well since G1 was quite capable of playing the game on his own. Until G2 came in to the picture… What big brother does, little brother always wants to do. Unfortunately, he can’t really play the game very well, yet, so who does he turn to for help? And Mama is now hooked on Lego Harry Potter. Oops. There goes productivity. 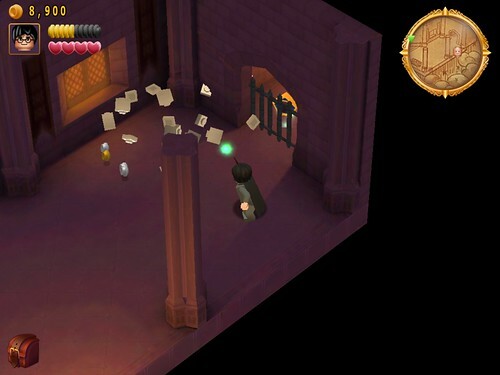 There are two Lego Harry Potter Apps – the first one is from Years 1-4, and the second one is from Years 5-7. We’ve only played the first one – we’re up to Year 4 now (at least, I am – because I play it while the kids are asleep) – but I suspect we’ll also be getting Years 5-7 soon (even if I have to sneakily play it at night). Enter the world of Harry Potter and re-live his adventures at Hogwarts from Year 1 to 4. 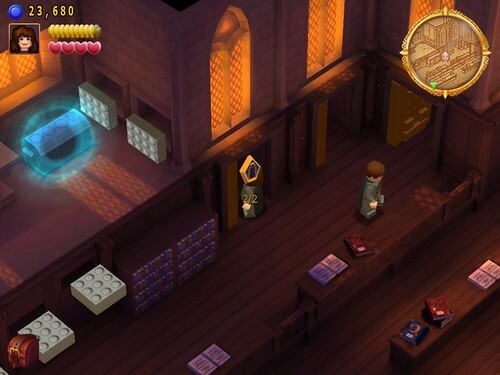 The Events of Harry Potter’s First Four Years at Hogwarts – LEGO® style! – including the Triwizard Tournament, the Quidditch World Cup, the Basilisk battle in the Chamber of Secrets, the encounter with Aragog and the face-to-face confrontation with Voldemort himself. Stunning Graphics – take advantage of the Retina Display. 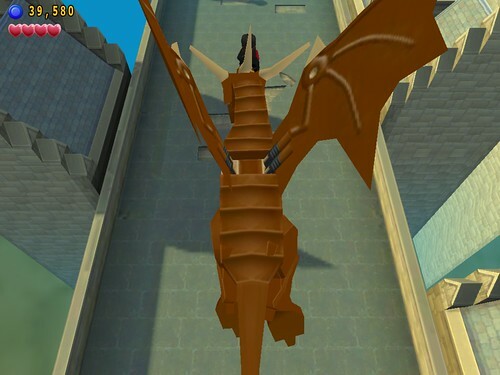 Intuitive Touch-Screen Controls – take complete control over your character to explore, solve puzzles and duel. Visit Iconic locations – including Diagon Alley, the Forbidden Forest, the village of Hogsmeade and Hogwarts castle – a grand, immersive 3-D environment and the largest, most detailed LEGO® game location ever built. 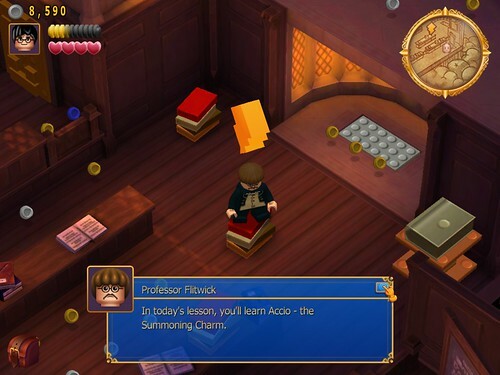 Play as over 100 characters – including Harry Potter, Ron Weasley, and Hermione Granger. Attend Hogwarts – cast spells, mix potions, fly on broomsticks and complete hundreds of magical tasks to earn points. 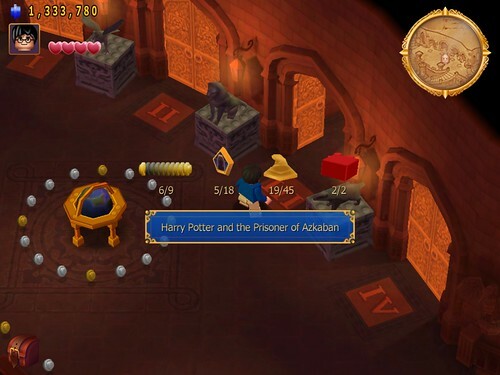 Character Customization – using hundreds of different LEGO® Harry Potter pieces. Classic LEGO® Humor – enjoy the characteristic comedic LEGO® ‘twist’ on events from the fiction. 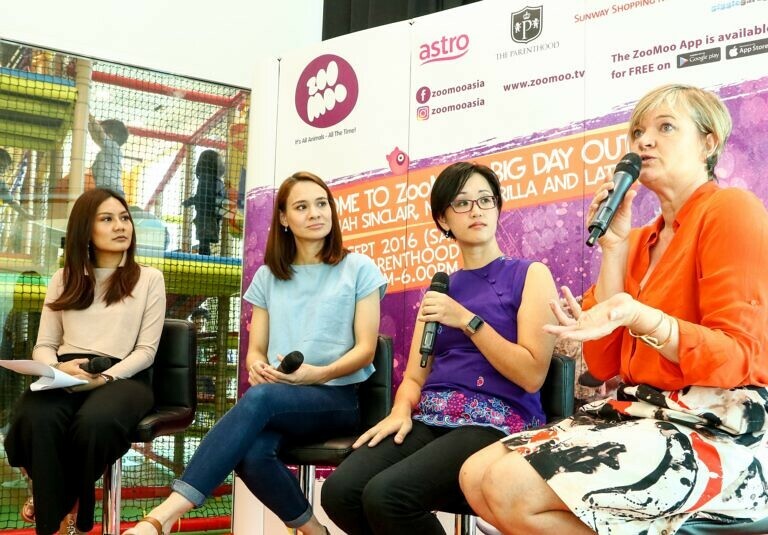 Endless Replayability – use ‘Freeplay’ to discover areas of gameplay not accessible in Story Mode. Collectables – pick up a huge variety of items throughout the game. Throughout the game, there will be short video sequences to introduce the chapter or to end it. 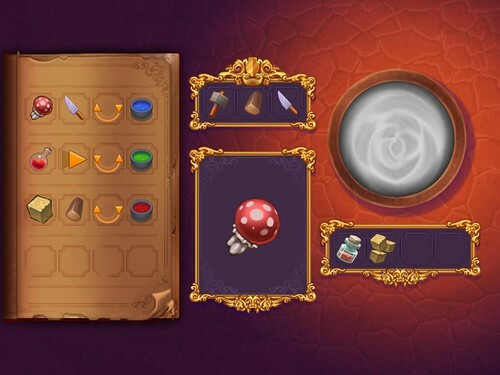 Collect ingredients so you can brew potions to help you complete your mission. Solve mini-puzzles as part of your spell-casting. In addition to following the story, there are hidden treasures to be found throughout the game… Collect all the coins you find lying around. 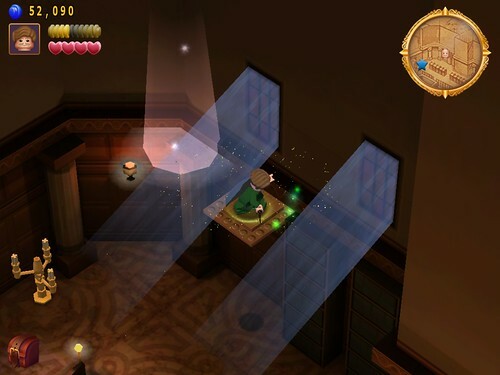 When you learn how to cast spells, you will be able to blast objects to search for hidden gold coins. 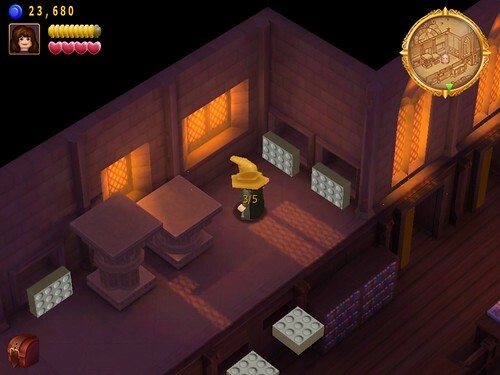 Collect enough gold coins from each level and you will earn the reward of “true wizard”. …and red bricks. There will be a tally showing you how many you have found so you know how many more are still hidden. 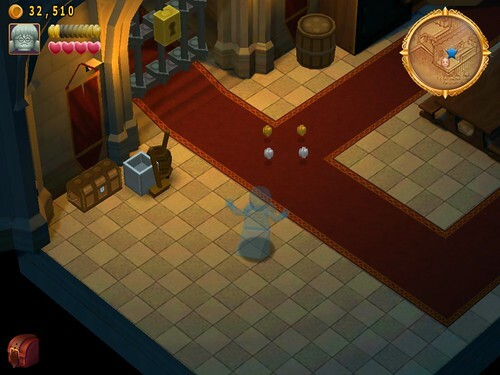 Unlock characters as you play the game and play from the point of view of any of them, like Myrtle the ghost. Are there any educational benefits to a game like this? I suppose it depends on what you view as educational. 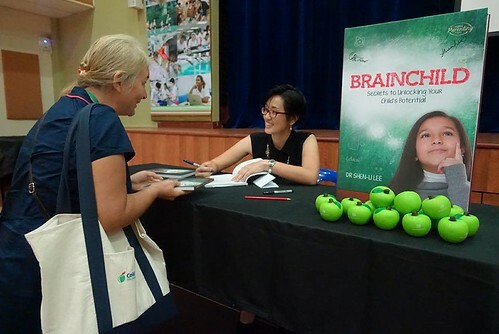 I think it stimulates problem solving, fosters creative thinking, develops persistence, and encourages curiosity. 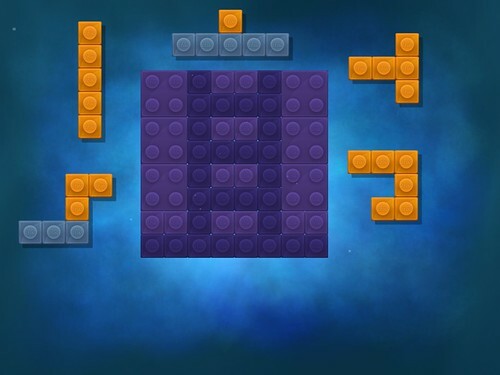 The game requires children to explore and figure out how to solves the myriad of mini-puzzles scattered throughout the game. 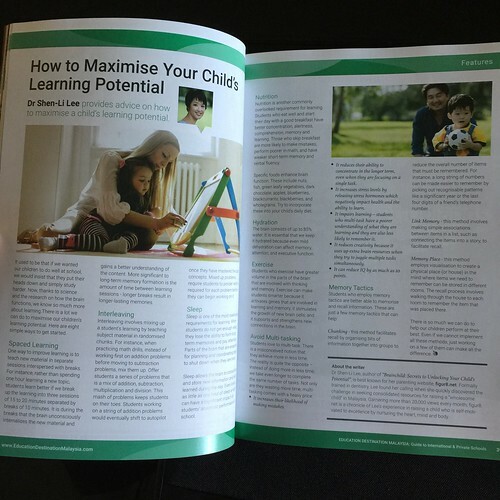 They are encouraged to come up with their own answers – I can see stuff in that room beyond this door but how do I unlock that door? Clues are provided and some guidance is offered as they ponder over the many puzzles to be figured out along the way… What if I try this? What’s down here? How do I open that chest? What do I do here? 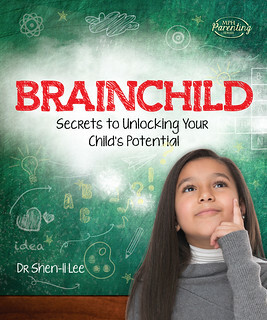 I like the way the game encourages children to be inquisitive – to want to explore, to find out what’s behind that corner, to figure out how to get past that lock… It’s a nice balance of open-ended puzzles that require individual thinking but still with enough structure so younger children are not completely frustrated when they don’t know what to do.